This video was produced during the 2018 PBS NewsHour Student Reporting Labs Academy by David Perez of Christopher Columbus High School in Florida, Owen Shao of Wauwatosa East High School in Wisconsin and Raegan Byrd of Journalism and Media Academy in Connecticut. Mentor support provided by Jennifer Suzuki, Elis Estrada and Rebecca Messner. For over 40 years, Claude Moore Colonial Farm was a well-preserved time capsule of 18th-century farm life in northern Virginia. Since the early 1970s, costumed staff and volunteers lived as if it was the year 1771. They grew and cooked their own food, sewed their own clothes, and raised their own livestock. But after a tumultuous battle with the National Park Service, the colonial farm in McLean, Virginia permanently closed its doors on December 21, 2018. Claude Moore taught colonial history with day to day interpretations and reenactments of life as a poor tenant farming family in late 18th century Virginia. Exploring the life of a working-class family, the farm was different from other colonial museums that housed Virginia’s elite like George Washington at Mount Vernon in Alexandria. Visitors, young and old, participated in the upkeep of the land. Raking, hoeing, and planting were all part of a day’s visit to Claude Moore. Nada Charafeddine, brought her kids to the farm several times to learn about environmental preservation. “I feel as a parent, you cannot teach about the environment and respect for the environment without giving the children a chance to experience it first hand,” Charafeddine said. After receiving more than 300 acres of federal land in 1971, the National Park Service’s budget made it difficult to keep the farm at Turkey Run open. It wasn’t until 1981 that NPS partnered with a private non-profit Friends group to keep the farm programs going. The National Park Service has several partnerships with nonprofits and federal agencies to help better accomplish programs and services in the parks nationwide. The Friends of Claude Moore Colonial Farm, named after a local Virginian, Dr. Claude Moore, who provided a large grant to keep the colonial farm running, managed the Park Service’s land. The Friends group signed a 30-year cooperative agreement with the Park Service, with several extensions throughout the years. But as the farm’s lease came to an end in early 2018, the Friends organization disputed with the Park Service’s lease renewal demands, including increased oversight of the farm, routine financial reporting and approval of private contractors. Ultimately the farm couldn’t come to an agreement with the Park Service and closed its facilities in McLean in December of 2018. Elliott Curzon, Director of the Friends organization, says “all things are possible” when it comes to reviving the colonial farm. 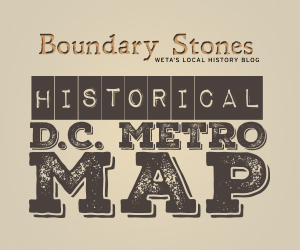 Curzon is hopeful that the group will continue staging live history demonstrations at “other facilities,” including 18th-century fairs in the DC Metro area. According to the Park Service, there are no immediate plans to sell the land that once housed the Claude Moore Colonial Farm. Earlier this year, however, the Park Service said it was hosting an open comment period to decide the future of the land. The community and former volunteers are invited to an open house from 6-8pm on April 25 at the Madison Community Center, 3829 N. Stafford St., Arlington, VA 22207. All we know for sure is that Stonewall Jackson's left arm was buried at Ellwood plantation in 1863. What happened to it since is anyone's guess.